Estacada's wrestling team won one of three dual meet in Woodburn last week, opening the day with a 57-21 win over North Marion. The Rangers won 7 of the 11 contested bouts, coming back from a six-point deficit halfway through the dual by scoring falls or forfeits across the last seven bouts. Cole Simmons (170) and Lance Moser (182) scored first-period pins during that run, while Kaden Settle (160) and Faith Grainger (106) also won by fall. Landin Vittletoe (120) and Caleb McDonald (126) gave the Rangers an early lead with back-to-back pins and Cody Hovda won a 7-3 decision at 138 pounds. Estacada dropped a 51-30 dual to the host Bulldogs and finished with a 39-36 loss to Molalla. 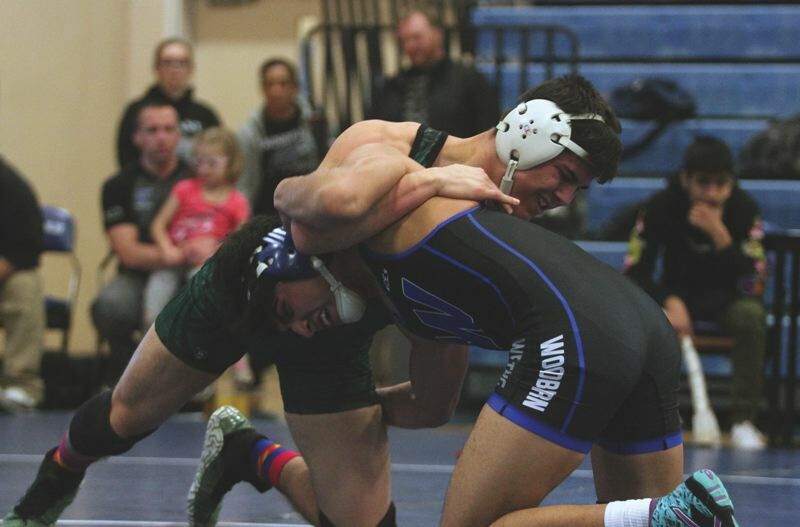 Moser needed less than five minutes to pin his three opponents on the day, while Cody Hovda also won all three of his bouts with a pair of pins against Woodburn and Molalla. The Rangers compete at the 4A District 1 tournament this weekend in Tillamook. Estacada heavyweight Hunter Gotchall ended the regular season with the team's best record at 36-1, while Moser finished at 27-4. Hovda and Sam Garrison (170) were third on the team with 24-9 records.